3ninez & Underdwellers presents: SEEZ MICS!!! 1. The first crew I was ever officially a member of was 3NINEZ, so it’s especially dope to have them putting this show together. 2. 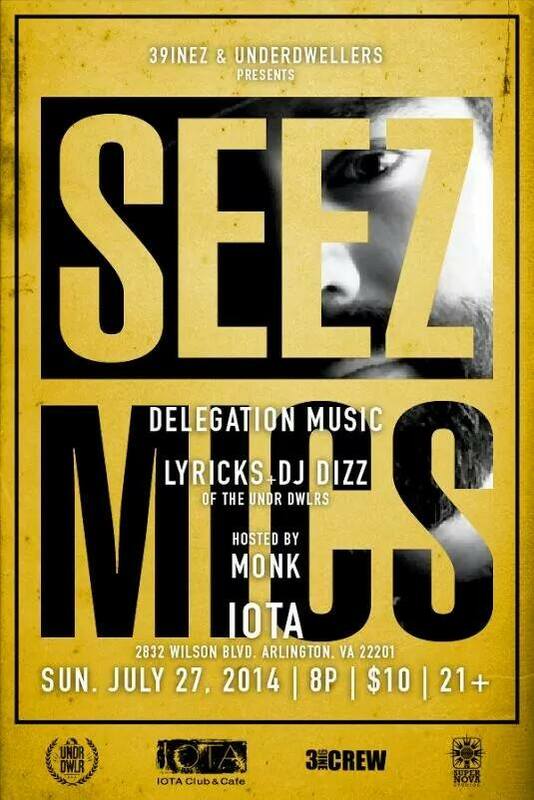 The first Seez Mics headlining show of 2014. 3. The first bill I’ll be sharing with the homeys Delegation Music. I’ll be performing material from all over the catalog, including the Educated Consumers hits and new stuff from my upcoming album ” Cruel Fuel.” There will also definitely be freestyling. The people I’ve mentioned this show to have remarked that Iota Club & Cafe is a great venue, so come party with us!